Are times hard for you right now? Have you landed in a depressive state that you just cannot seem to be able to dig your way out of? Does it feel like things in your life are headed for a death spin and you do not know how to hold everything together anymore? If you answered yes to any of these questions you may want to seriously consider finding a higher power to help guide you through your rough times. Some people believe that higher powers come from within and that your higher power represents a better you, the best you. They believe that their higher power comes from their core and is a part of their nature. There are also the people who believe that a higher power is something outside of this world. You need to look within yourself and ask what your idea of a higher power is. Do you see a higher power as a heightened state of yourself or do you see it more from a religious point of view? If you are not able to answer this question easily do not worry. It simply means that you are in your early stages of connecting with your higher power. 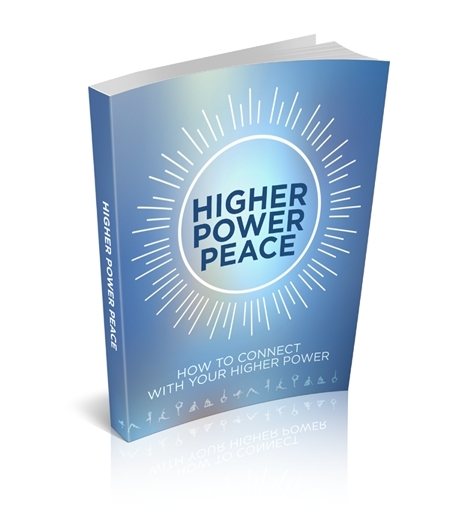 Everyone progresses with connecting with their higher power at different rates and in different ways. What works for one person may not work for you so it is important to always be trying new ways of enhancing your spirituality and furthering your connection with your higher power. Many people go through their daily lives and do not take the time to think about how connected everything is in life. Every opportunity in your life is presented to you by your higher power. Your higher power is like your guide through life. It is there to help you when you are in need and to show you the path when you are lost.